We all know that the internet is huge and that many people would prefer to gamble at an online casino over a physical one. There is a variety of reasons for this shift such as convenience and choice. To cater to this shifting preference, there is a huge number of casinos available online and the list is constantly growing. It has never been easier to have a wager at an online casino but which one should spend your hard earned money with? To help you decide which provider is right for you we have put together this guide to help with your search. 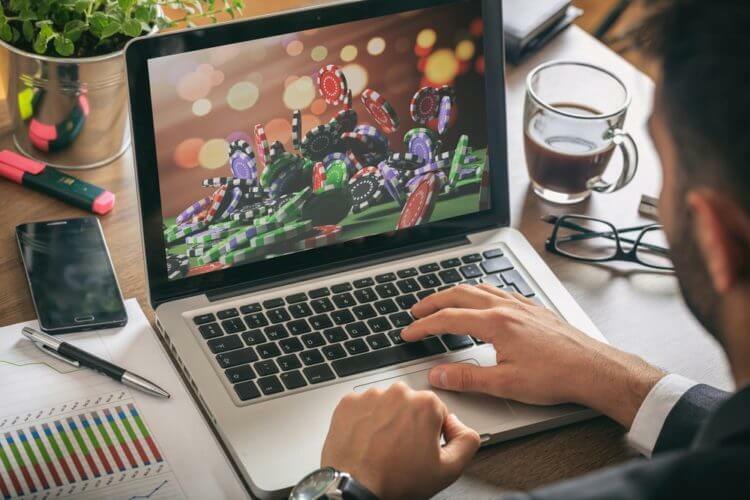 Like all industries there are the good and not so good service providers, so use the tips mentioned below and you will be able to navigate through the multitude of online gambling sites to find the perfect one. The internet has a wealth of information available just a click away so it makes sense to begin your research there. You can find reviews for virtually every casino from both professional reviewers and customer comments. Both sources have different viewpoints and aspects that will aid your search. Always take a customer comment with a grain of salt though because you never know what motivated them to write what they did. Some may blame a casino for losing, or for some other aspect that is out of the provider’s control. Having said that, read as many casino reviews as possible to help form a clearer picture. Once you have narrowed down your list to a couple of casinos, then it is time to do some research directly on their site. First things first – are they licensed and regulated? This is an absolute must and will quickly filter out many of the good and bad ones. Some highly respected governing bodies include the UK Gambling Commission, the Alderney Gambling Control Commission, and the Malta Gaming Authority. These are not the only organisations but are some of the more common bodies in the industry. Have a thorough read of the site’s terms and conditions and company information. To help prove fairness a site may mention information on random number generators (RNG) and return to player rates (RTP). RTP rates are important because they will tell you the theoretical amount that each game is expected to pay out over time. RNGs are critical because they are part of the gaming software that ensures that the results are fair and random. Often, casinos employ third-party testers such as eCOGRA to certify that their games are audited so keep an eye out for this. While not a critical component, a good customer service department will make life easier for you. Check to make sure that your preferred method is offered, whether that is by phone, email, or live chat. Reviews can help, but if you are overly concerned then send the casino a quick message to check wait times and quality of service you receive. Also, take note of opening hours. Many offer a 24/7 service but some don’t. You don’t want to be in the middle of a late night gaming session when something goes wrong and there is no one to contact. Virtually all online casinos accept Credit or Debit cards as these are the most popular ways of depositing and withdrawing funds. There are a few niche sites that only accept bitcoin but they are in the minority. Whatever your preferred method of conducting business is online you will find a casino that will accommodate you. Pay attention to limits and processing times and check to make sure that the site is secure. A trustworthy security protocol to look out for is SSL technology which encrypts data, including banking details, to keep it safe. Now we get to the fun part! One aspect of online casinos that gives them a huge advantage over physical casinos is the ability to play games for free. Potential customers have the chance to test drive the games in demo mode with virtual funds. This gives users a perfect opportunity to see how the casino functions, and what games they have, without needing to sign up or risk that all-important bankroll. Look out for the inclusion of any big name casino software developers but don’t be put off by lesser-known companies either. Some of the great games of the past and future are released by these smaller software companies. Finding the right casino is an exciting process that is made easier by using the tips detailed above. It is an important decision to make, so do plenty of research on the casinos that interest you, and don’t rush into anything. Once you have made your decision, feel free to start with a small deposit and see how it goes. If the casino earns your trust then you can increase the deposits over time. Just make sure to stick to your set bankroll and have fun!